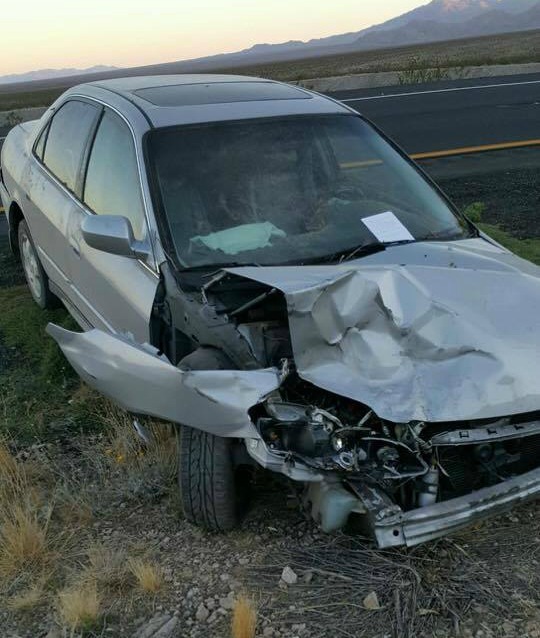 ST. GEORGE — A hit and run on the interstate left four seriously injured while the driver of the other vehicle fled the area after leaving a note for officers on the windshield. 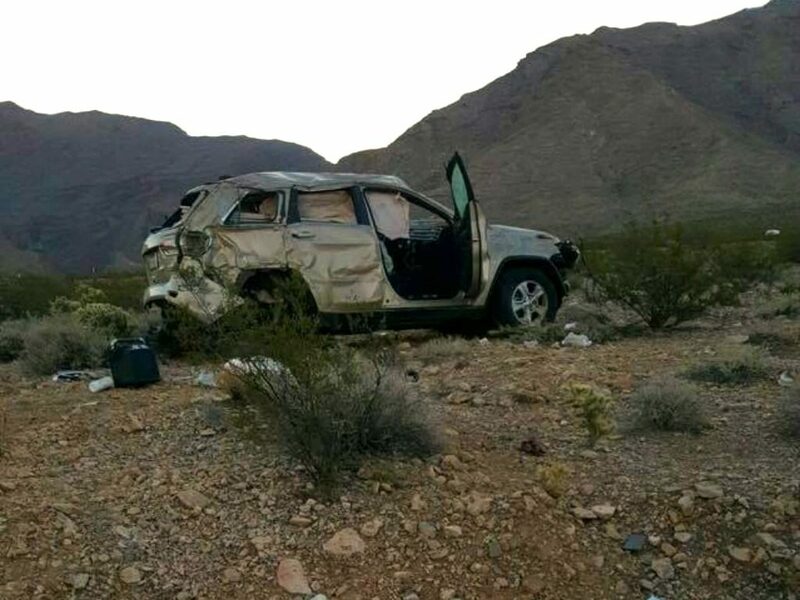 In the early morning hours emergency personnel were dispatched to an area near mile marker 11 of Interstate 15 in Mojave County, where officers found a silver passenger car on the roadway, and a tan Jeep nearly 100 yards off of the roadway, Arizona Department of Public Safety Trooper Tom Callister said. The four occupants in the Jeep were injured, three of whom sustained serious injuries, and the four were transported to Dixie Regional Medical Center by ambulance right away, Callister said. When officers approached the silver passenger car they found the vehicle empty. There was a note on the windshield advising officers the driver was not injured and would be back to pick up the vehicle. 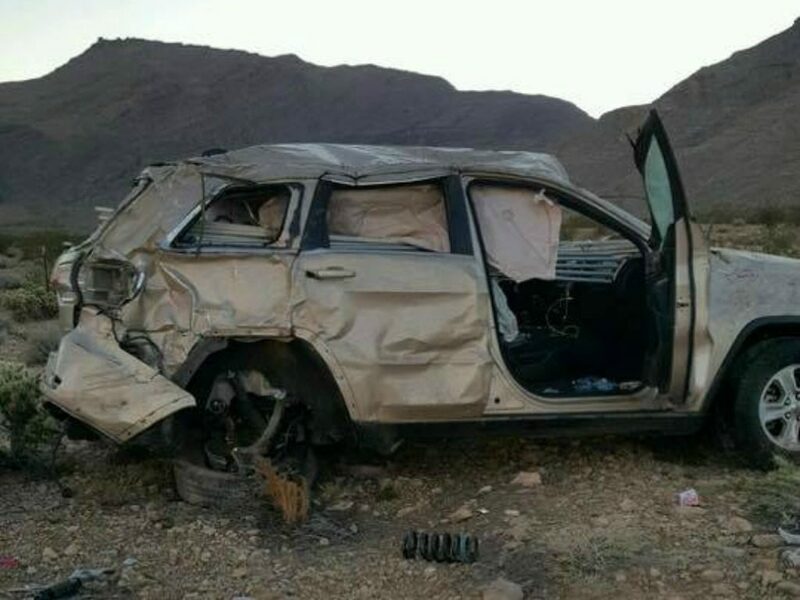 Officers determined both vehicles were traveling north when the silver passenger car struck the Jeep while attempting to pass it at a high rate of speed, sending the SUV careening off the right shoulder of I-15. The vehicle then rolled several times before it was launched into the air and came crashing back to the ground, again rolling several more times. It finally came to rest more than 200-feet away from its initial starting place. The occupants in the vehicle were spared even greater injury from the car leaving the roadway completely Callister said, adding, if the Jeep had struck the culvert their injuries could have been even worse. Meanwhile, a man who had visible injuries and blood on his face came upon the scene and told the trooper he was there to pick up the silver passenger car that belonged to his friend. The trooper suspected the injured man was there to pick up his own vehicle, and that he was the one driving when the crash occurred, Callister said. The man was arrested and booked into the Mesquite City Jail for numerous offenses including suspected aggravated driving under the influence, aggravated assault, endangerment, and driving on a suspended license. All four of the occupants traveling in the Jeep were transported, three of whom were admitted. The fourth was treated for a large laceration on his face and multiple contusions before being released from the hospital, the trooper said. All four in the Jeep were wearing seat belts at the time of the crash. This report is based on preliminary information provided by law enforcement or first responders and may not contain the full scope of findings. Persons arrested or charged are presumed innocent until found guilty in a court of law or as otherwise decided by a trier-of-fact. Jeff Spicoli: Relax, all right? My old man is a television repairman, he’s got this ultimate set of tools. I can fix it. The guy from the silver car came to ‘pick it up’ ? Was he going to carry it ? drag it ? Oh , wait , he was hoping the officers would give him a ride back to town , being the ‘drivers friend’ and all . Could someone please do an IQ test on him . . .
LOL I know one insurance company won’t be getting reimbursed.